Event organizer Reboot Communications is announcing a new wholly-owned event, the Canadian Games Conference, debuting in Vancouver in May 2011 alongside the second annual Canadian Videogame Awards. This newly branded event will offer cutting-edge keynotes, lecture and roundtable content from local, national, and international game creators, focusing on core topics like game design and programming alongside emerging smartphone and social game areas. It will also include a bustling expo floor. In addition, the 2011 Canadian Games Conference is also the first-ever event to feature a special 'Best Of GDC' content track, including some of the best speakers and topics from the worldwide Game Developers Conferences. This unique agreement for the 'Best Of GDC' content at the Canadian Games Conference evolves a partnership built around the former Game Developers Conference Canada event, which the Canadian Games Conference replaces and expands on. Reboot also ran the popular Vancouver International Game Summit from 2006 to 2008. Reboot Communications CEO Greg Spievak commented of the announcement: "Our conference efforts in the game space have always been for the industry, by the industry. Our Canadian Games Conference advisory board is made of key representatives from across the country - and we expect the same vibrant growth and stimulating sessions that have defined our game events for the past four years." The UBM TechWeb Game Network's global brand director Simon Carless added: "We're delighted to continue working with Reboot and the Canadian game industry by contributing the 'Best Of GDC' track to the Canadian Games Conference - and look forward to supporting the conference and awards as one of the leading events in this vibrant space." 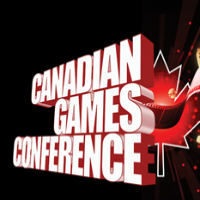 Keynotes and session topics for the Canadian Games Conference will be announced on the website soon. Please visit the official event website for full details.